Hi Folks! I'm so excited to hop with Pattern Happy, a newer company by Kim and Ryan Sabel (original founders of KI Memories). 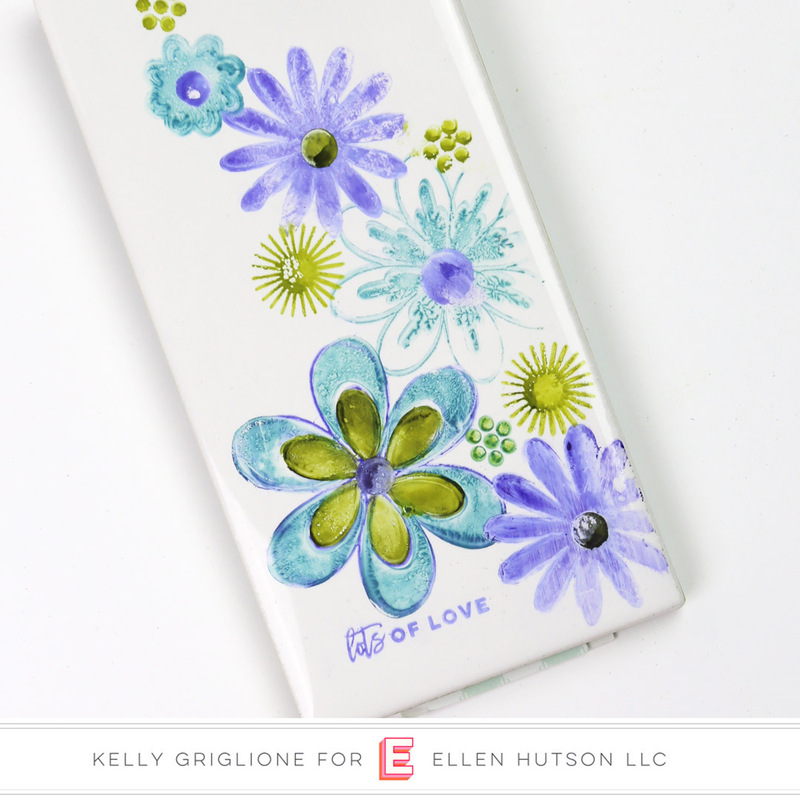 If you haven't gotten to see their fun and whimsical products yet, you should definitely check them out! Their company tag line is to "make what makes you happy" ... how can you argue with that?! 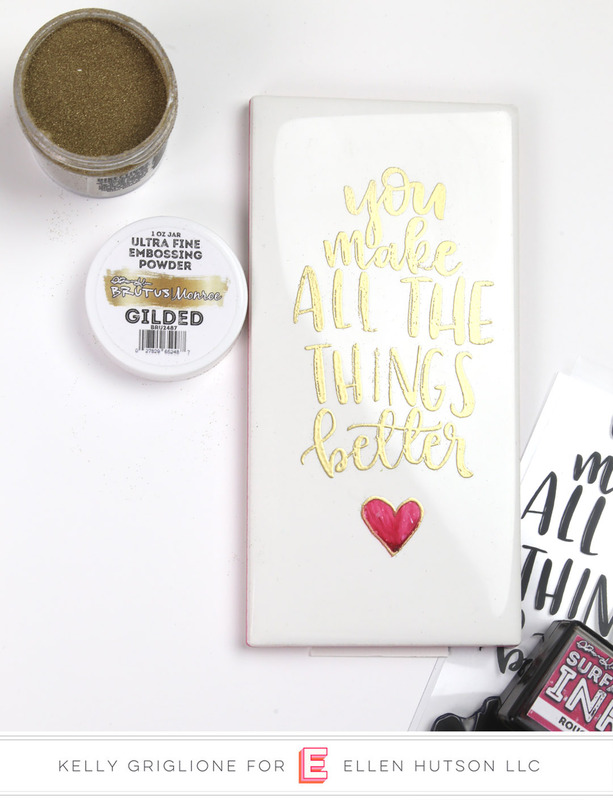 You may have just come from Kat Benjamin (who makes some pretty awesome scrapbook pages!) but if not feel free to start at the beginning in The CLASSroom. 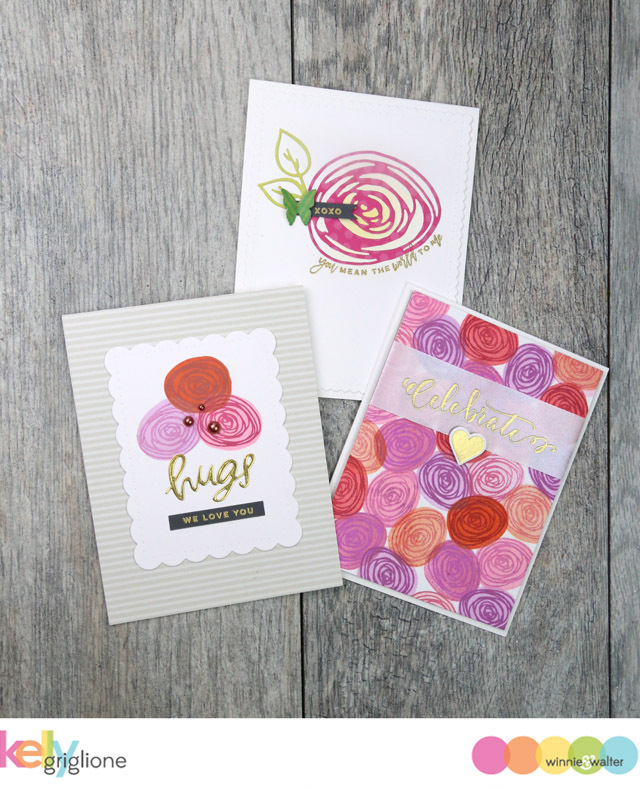 My cards are made with the adorable Colorful Day stamp set and die set. 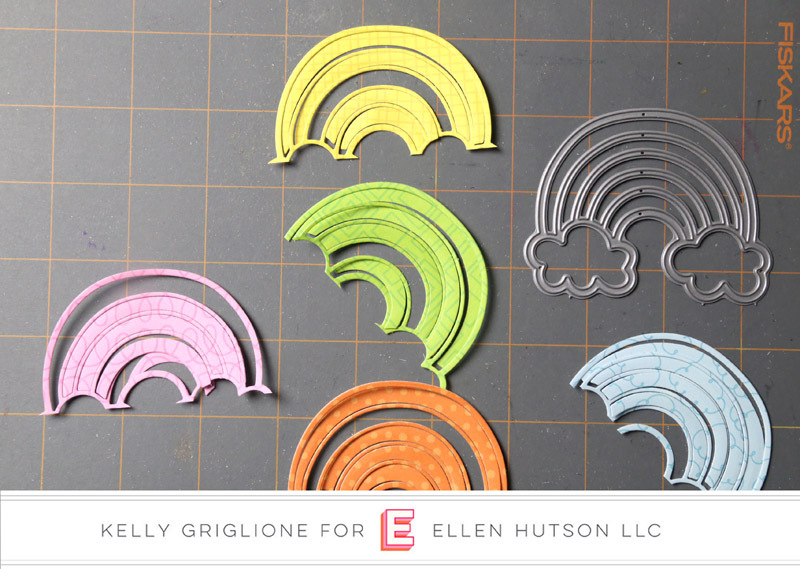 The first card uses the cloud dies, both the two smaller ones from inside the rainbow die, and the two larger independent dies. There's also a die for the main word "colorful" that has its loops colored in with markers. 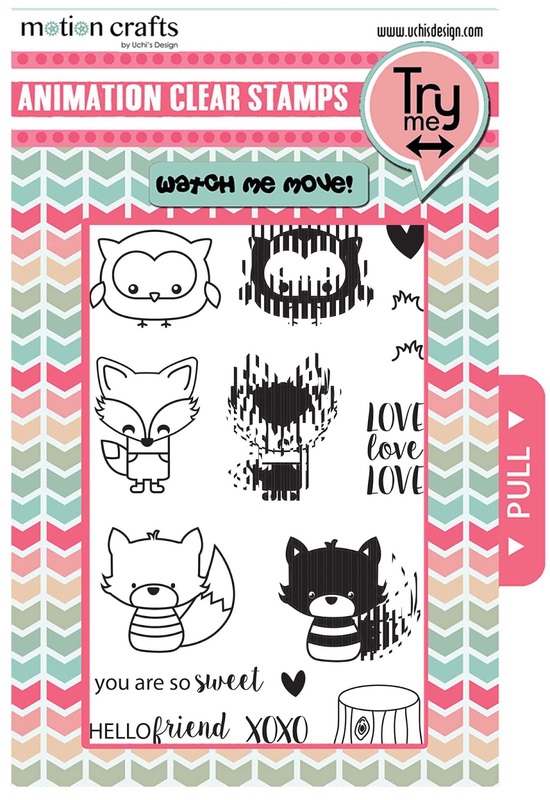 After I colored in the loops, I realized the smart folks at Pattern Happy actually include a stamp that does that for you!! Super cute! I added the first part of the sentiment to the clouds, and popped those on two different thicknesses of foam tape so they stand out a little more from the other clouds. The patterned paper on the bottom third of the card, and also on the inside of the card, is from their Rainbows paper pad. 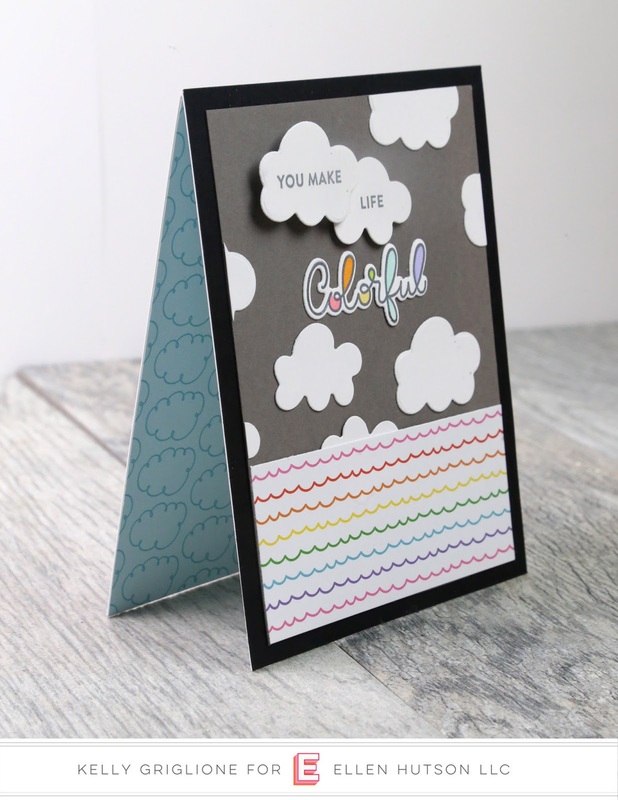 The next card uses the rainbow die cut, the same main "colorful" word, and a different smaller sentiment. 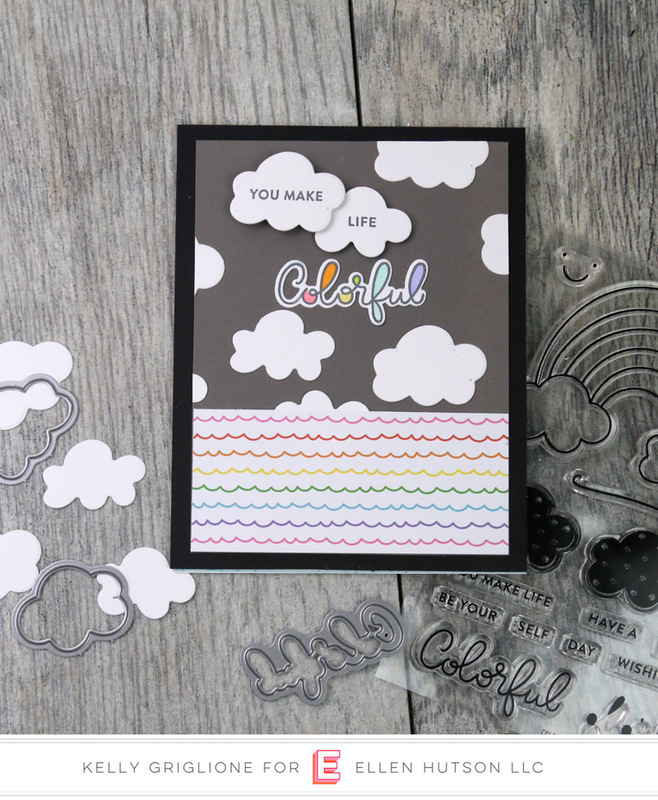 I kept the background very plain, with just a hand drawn border, because the rainbow and clouds command a lot of attention all on their own. 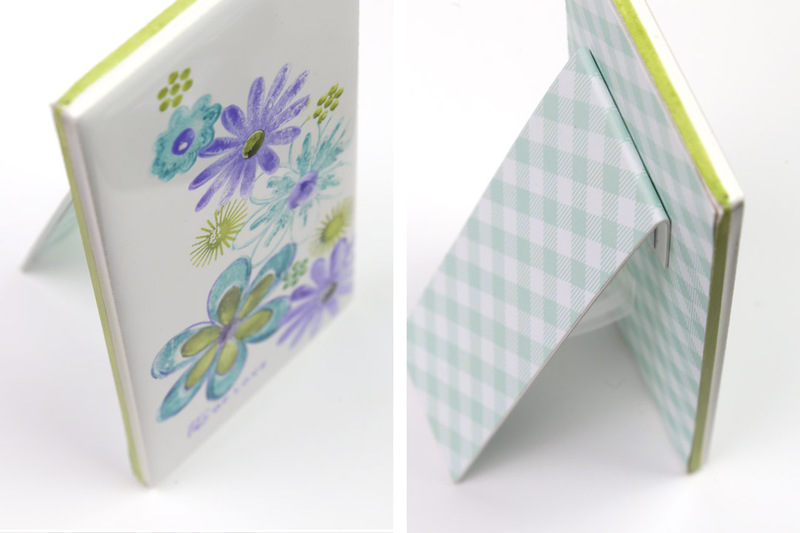 The patterned papers in the rainbow also come from the same Rainbows paper pad. 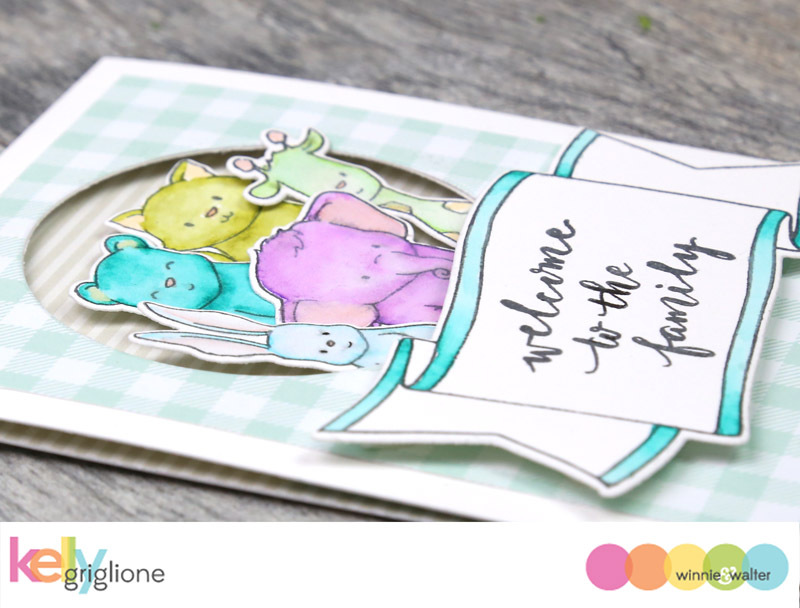 The nice thing about making a card like this is that now you have four additional rainbows to assemble and use! They won't start with pink on the top, but that's totally OK! 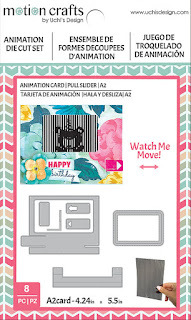 The inside of this card features, what else, a rainbow! Again, from the same Rainbows collection. 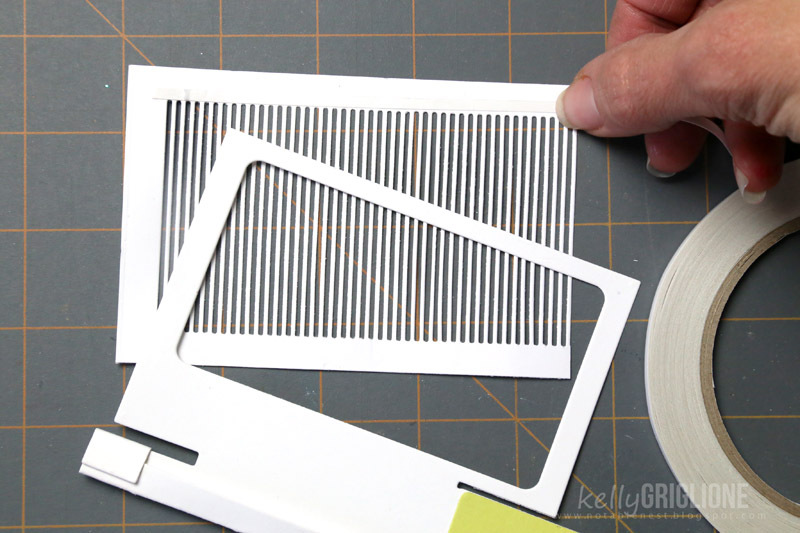 The die cuts all have layers of thicker paper underneath to make them stand out even more on this simple background. 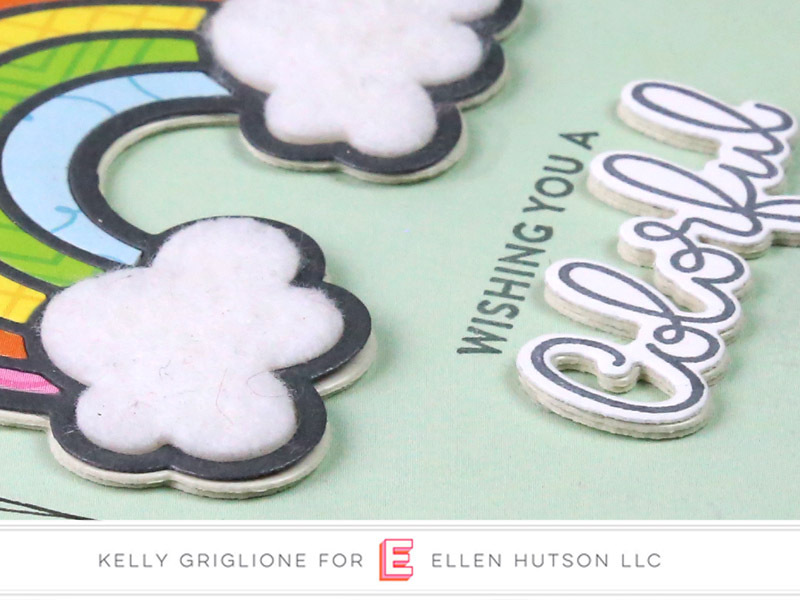 My favorite thing on this card I think has to be the white felt clouds. You just gotta touch them! 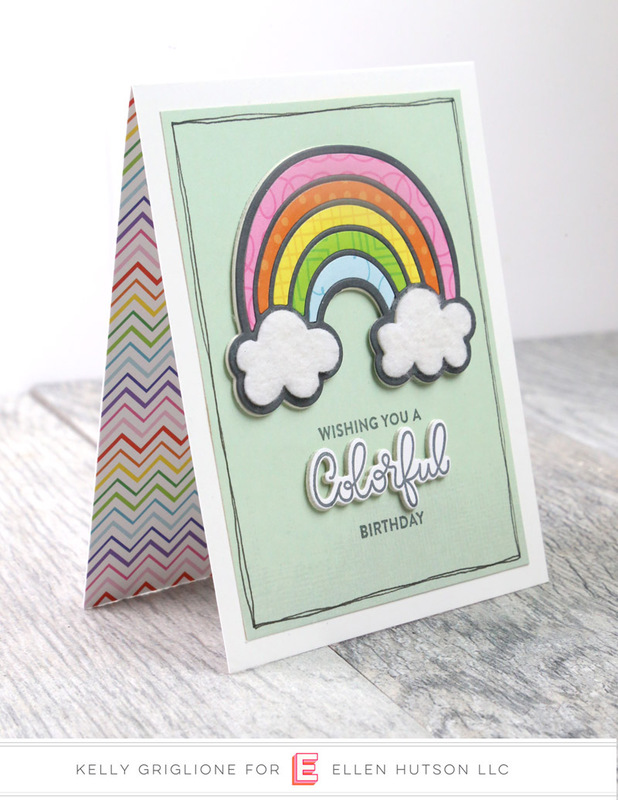 This would be such a fun card for a young girl or anyone who loves rainbows! 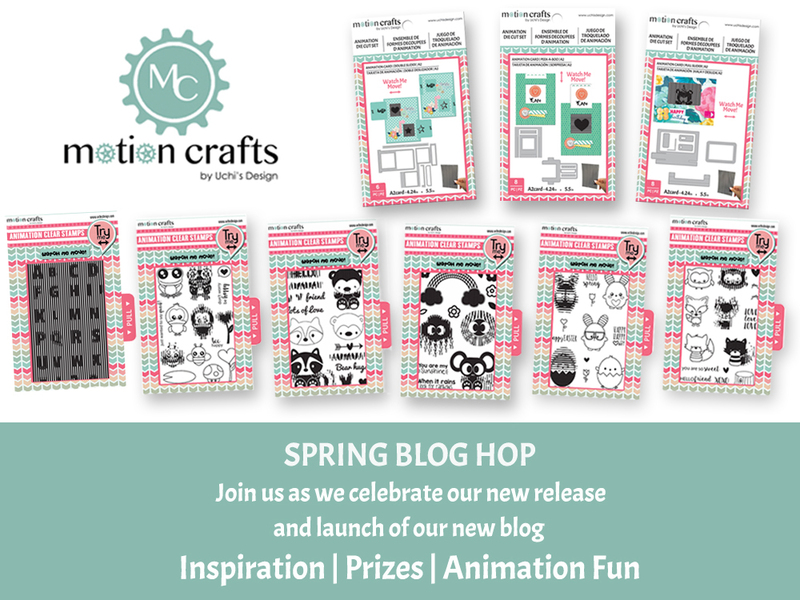 Not only do we have bunches of inspiration, we have prizes!!! 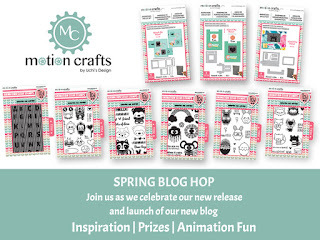 Make sure to leave comments at each stop on the hop for a chance to win one of two Pattern Happy prize packs. Leave your comments before April 5th, at 11:59pm PST. Winners will be contacted via email. Your next stop on this hop is Khristina Sorge. Hi Folks! 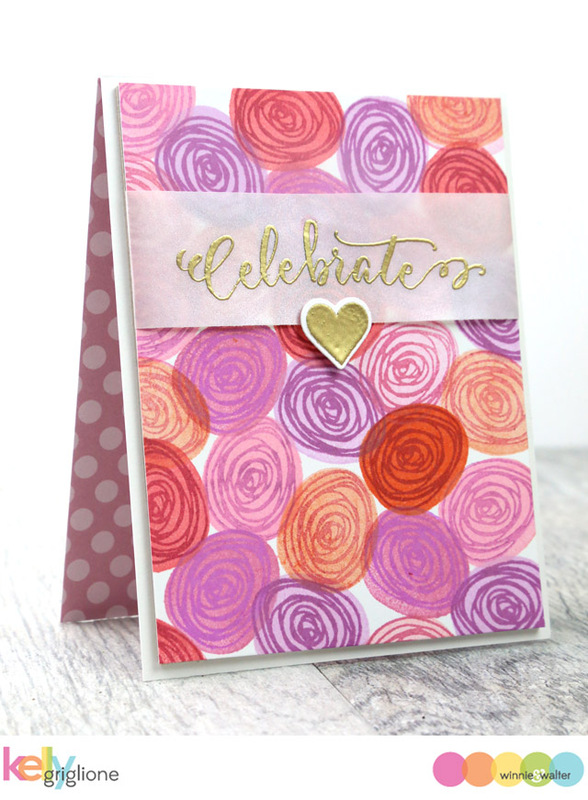 I've been crushing on the Dotty About You with Lydia Evans stamp set and the related Dotty About You Cutaways from our last release since I finally had a chance to play with them. Such a versatile set! 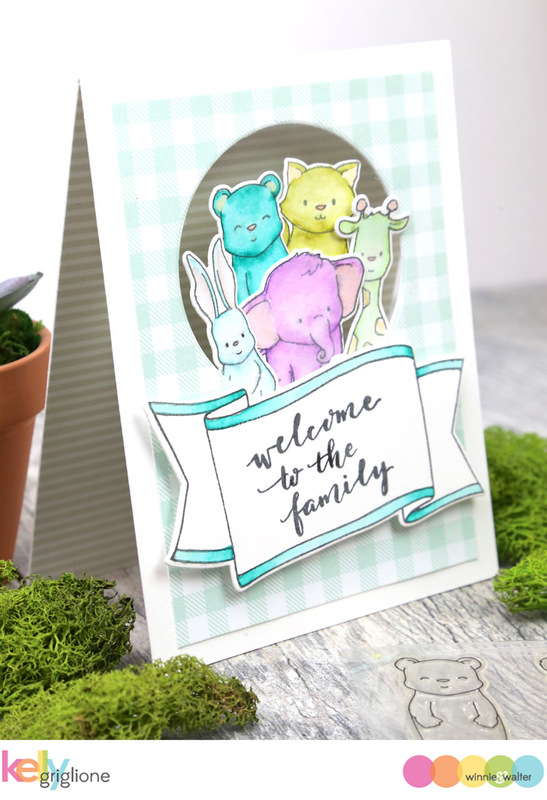 My post is on the Winnie & Walter blog with more details on each of the cards. 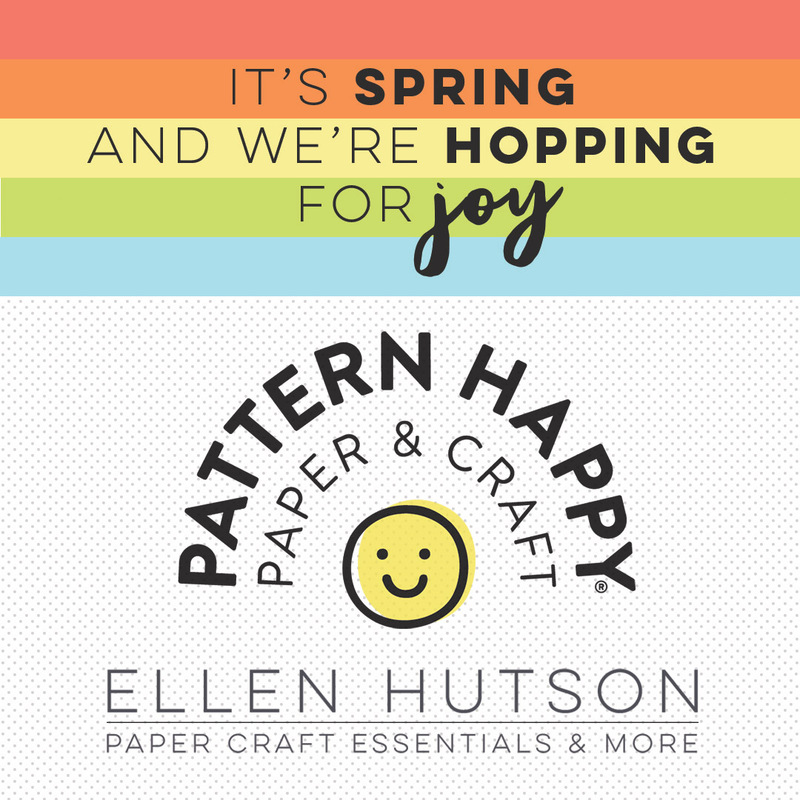 Hope to see you at Winnie & Walter! Thanks so much for stopping by! Hi Folks! 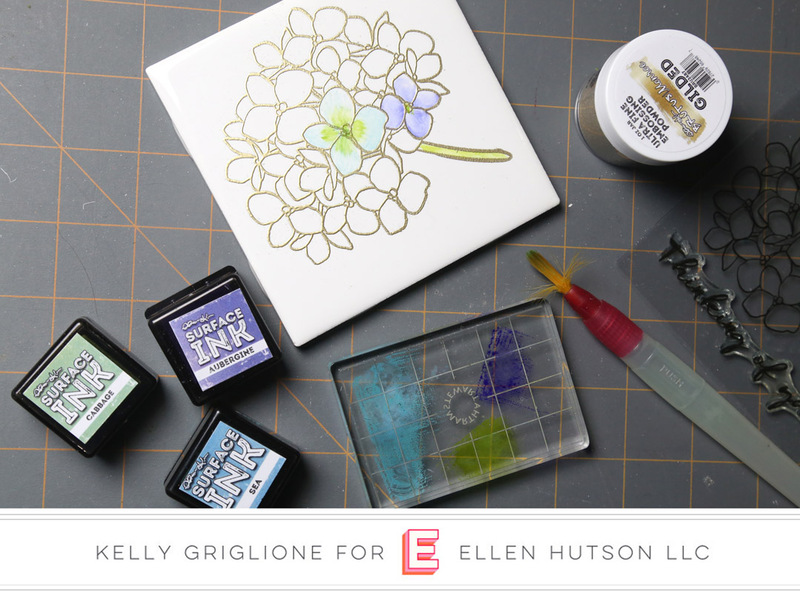 I've been so excited to share a new project I've been working on ... using Brutus Monroe Surface Inks to stamp on TILE! I wasn't sure how it was going to work out, or if it would be a complete waste of time, but I really couldn't be more thrilled with how they all turned out! 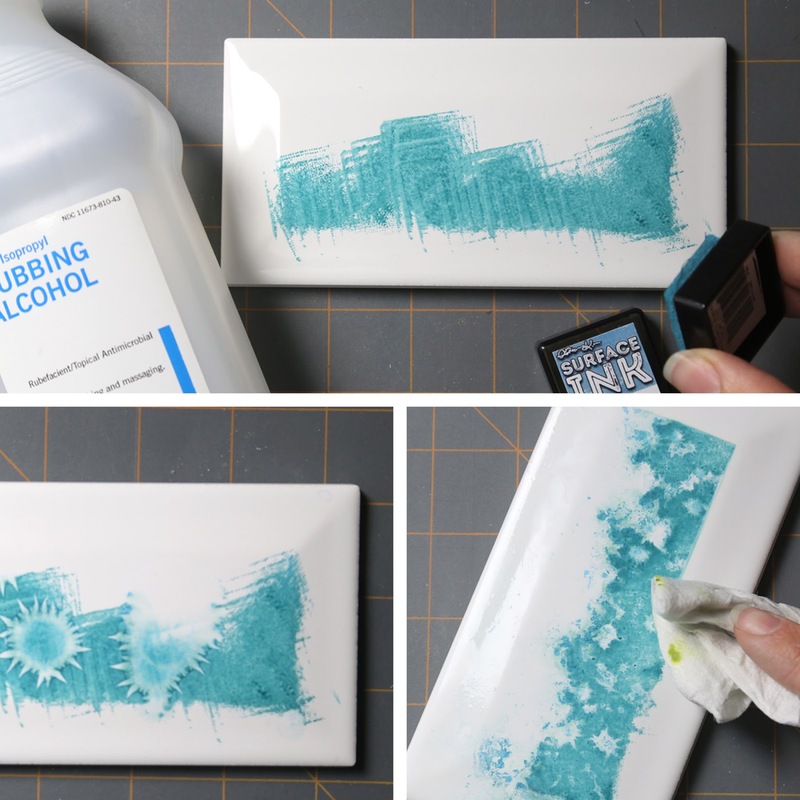 The best part is, tile is so cheap, yet looks very substantial. 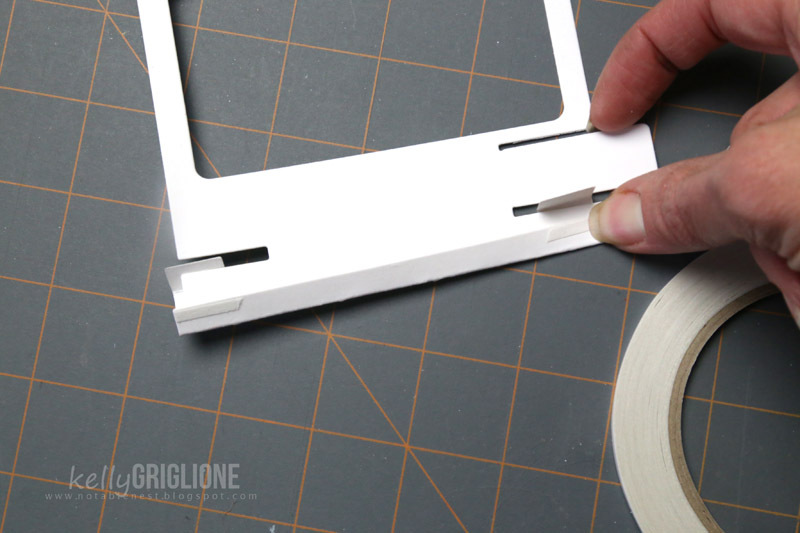 At 15 cents per tile, it costs about the same as plain white cardstock! 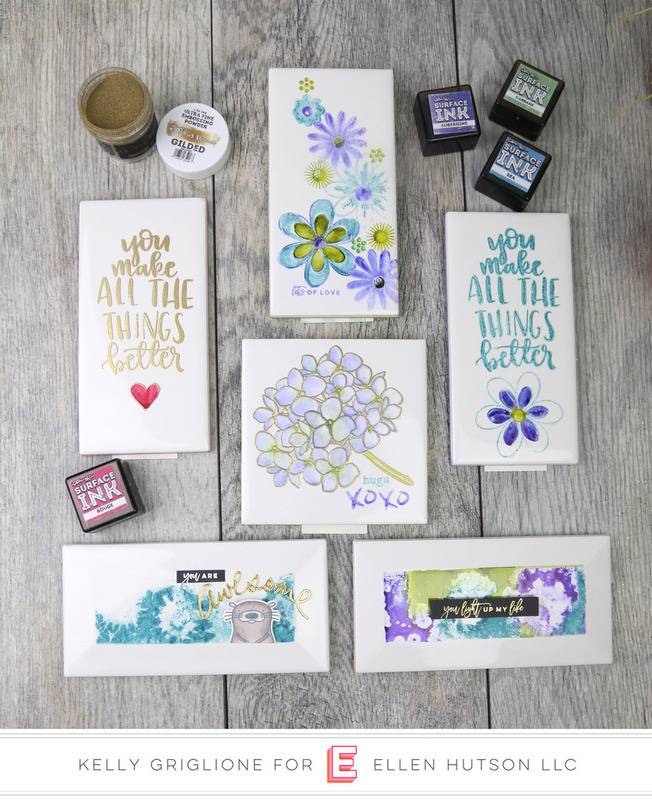 I'd love to see you over in The CLASSroom where I share all my tips, tricks, fails and successes with using these inks on the tiles. I've had them all out on my desk for the last couple weeks because I just love how they look. Even my family was really impressed! Hi Folks! 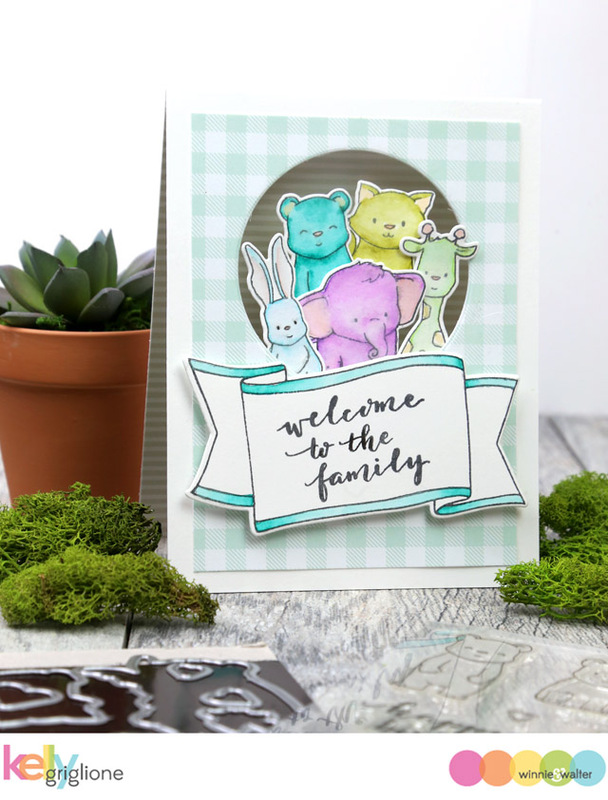 Oh, how I love me some adorable critters! 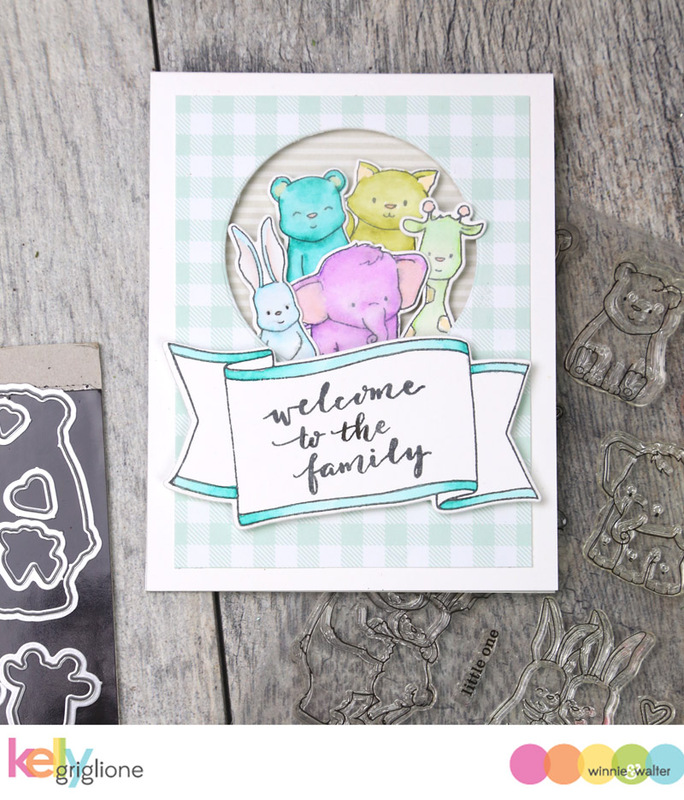 So I was pretty happy when Shay announced that the Winnie & Walter rerun set for the month of March is Welcome to the Family with Evelin T Designs, the ultimate "adorable critter" set. I love that there are so many different species represented in this set. That makes it pretty easy to come up with a crowd. And they're all here to welcome the newest addition to the family! I have them all peeking out of a circle cut through the card to contain them all. 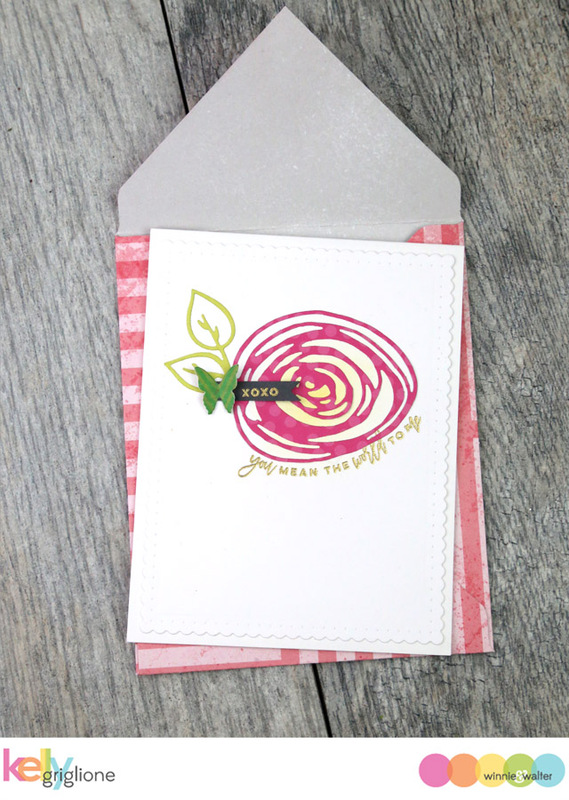 Since you can see right through to the back of the card, I lined it with some patterned paper. 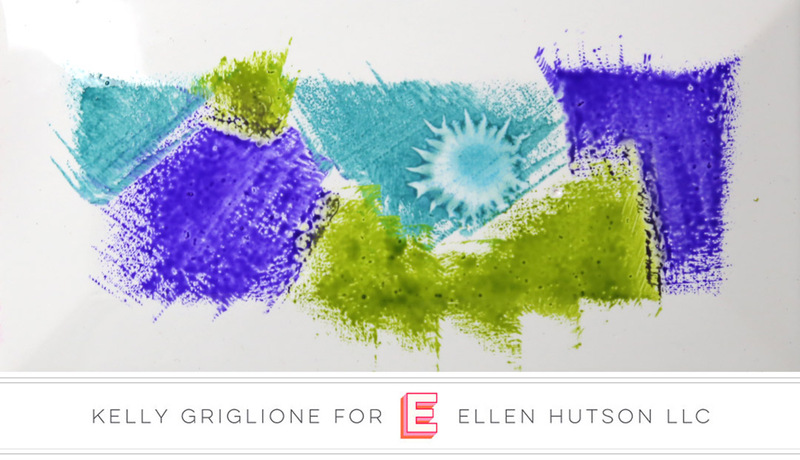 The banner is a favorite from Framed with Evelin T Designs. 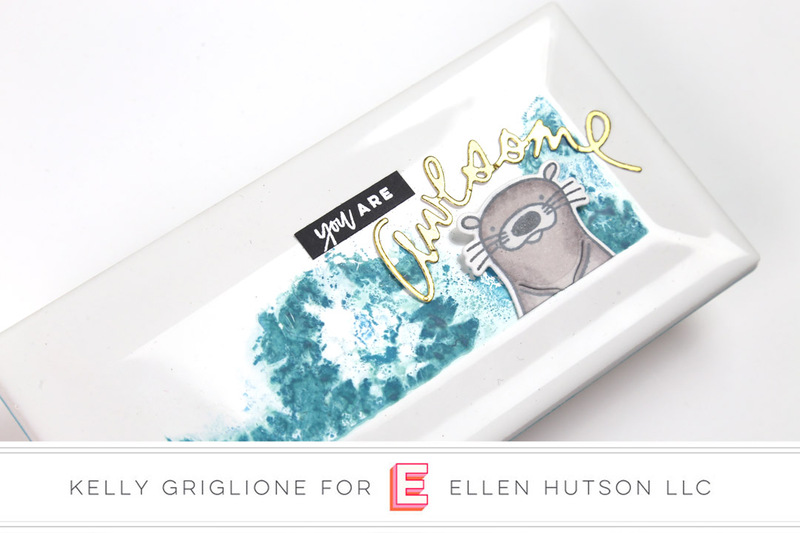 Be sure to check out the Winnie & Walter blog for details on how to participate in the monthly rerun challenge.